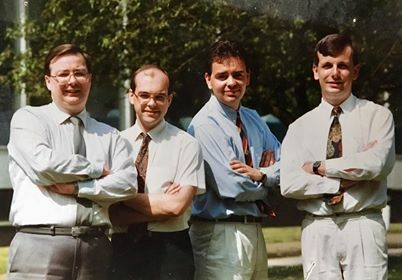 This is the Radio WM Sports Team circa 1990. It was taken on the front lawn at Pebble Mill and includes, left to right: John Platt, Tim Beech, Simon Brotherton, Ian Winter. Thanks to Tim Beech for sharing the photo.